After a two-year delay, Minnesota U.S. District Court Judge Donovan Frank finally has a replacement: Eric C. Tostrud. Tostrud, a longtime former partner at Lockridge Grindal Nauen PLLP, has served as of counsel at that firm for the past several years. He became a full-time faculty member at the Mitchell Hamline School of Law, serving as a practitioner in residence, after giving up his law firm partnership, according to his former boss, attorney Charlie Nauen. Tostrud was confirmed in a U.S. Senate voice vote on Thursday, Aug. 6, along with seven other federal judges. Tostrud’s confirmation brings Minnesota’s federal district bench back to full strength. Both Frank and fellow Minnesota U.S. District Court Judge Ann Montgomery assumed senior judge status in 2016, going into semi-retirement. Montgomery’s replacement, Nancy E. Brasel, was confirmed by a separate U.S. Senate voice vote on Aug. 28. A former assistant U.S. attorney for the District of Minnesota, Brasel has served on the 4th Judicial District state court since 2001. She was appointed by Gov. Mark Dayton. 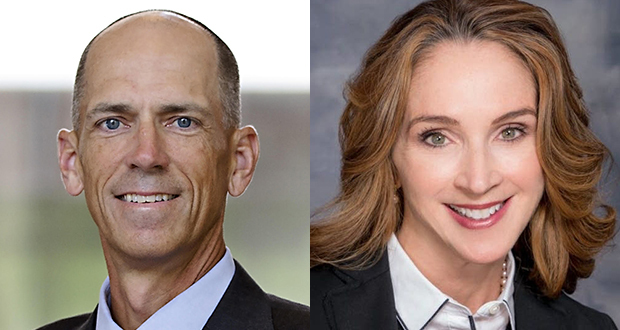 President Donald Trump announced his intention to nominate Tostrud and Brasel to the federal bench, along with seven other nominees on Feb. 12. Tostrud and Brasel received their nominations on Feb. 15. Both were grilled by the U.S. Senate Judiciary Committee on April 11. Their selection process involved two committees taking applications. One was led by U.S. senators Amy Klobuchar and Al Franken prior to Trump’s election in late 2016. A second was led by U.S. Rep. Erik Paulsen—Minnesota’s senior GOP congressman—after Trump’s election. Brasel has presided over juvenile, adult criminal and civil division cases in her seven years as a state district court judge. As an assistant U.S. attorney, she prosecuted more than 80 narcotics, firearms and financial crimes defendants. Earlier in her career, Brasel was a partner at Greene Espel PLLP, where she focused on business and employment litigation. From 1997 to 1999, she was an associate attorney at Leonard, Street and Deinard. She also worked as a law clerk for 8th U.S. Circuit Court of Appeals Judge Donald P. Lay. She earned her juris doctorate from the University of Minnesota, where she was managing editor of the Minnesota Law Review. Tostrud replaced David Stras as federal jurisdiction instructor at the Mitchell Hamline School of Law when Stras left to become a Minnesota Supreme Court justice. Stras is now a judge with the 8th U.S. Circuit Court of Appeals. In his 26 years with the Lockridge firm, Tostrud maintained a complex commercial litigation practice, working almost exclusively in federal court. Much of his work dealt with the Employee Retirement Income Security Act, said Nauen, a partner at the firm. Previously Tostrud worked as a law clerk to Judge George E. MacKinnon of the U.S. Court of Appeals for the District of Columbia Circuit. He also clerked for Minnesota U.S. District Court Judge Edward J. Devitt. He earned his juris doctorate from the William Mitchell College of Law. Nauen said he expects that both Tostrud and Brasel to uphold Minnesota’s tradition of keeping partisanship off the bench. Neither appointee can be categorized as either liberal or conservative—or even as a Democrat or Republican, Nauen said. “You kind of categorize them as highly qualified additions to the federal bench,” he said.